~It’s hard to imagine the controversial and brutal sport of bull baiting took place on Preston’s Flag Market right up until it’s ban in 1726. The sport saw a bull become unleashed upon the public, they then ran for their lives until the bull was exposed to a wider public domain which then saw it’s opponent taunt it until it was brutally killed. Interestingly the remains of the bull ring still exist to this very day. 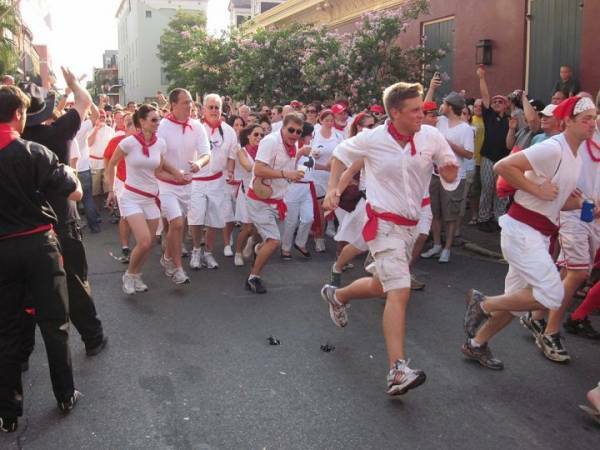 Now nearly 300 years later, Derelict Theatre are attempting to recreate the traditional Pamplona Bull Run. It’s going to be a theatrical experience as part of the biennial Lancashire Encounter Festival. The only exception is that thankfully there won’t be a bull in sight. Step out of your comfort zone this autumn with an exciting and imaginative installation.